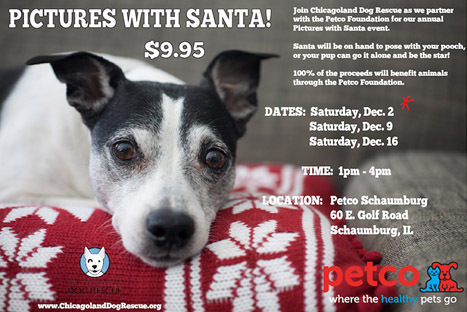 Our annual Pictures with Santa event that supports The Petco Foundation. Please share with all your dog loving friends! We hope to see you on Dec.2nd, 9th, or 16th! Photos are only $9.95 each! All proceeds go to the Petco Foundation.